The first celebration of mountain culture in the region was realized with the establishment of Home Craft Days in 1972. Since that time, the festival has served as an integral part of Mountain Empire Community College’s longstanding commitment to promoting and preserving the rich musical and cultural heritage of Southwest Virginia. 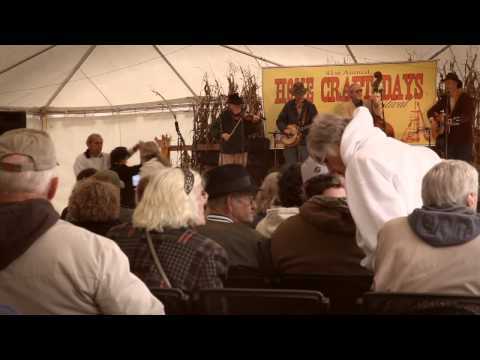 For more than 40 years, MECC’s Home Craft Days has featured musicians and artisans from throughout Southwest Virginia, East Tennessee, and Eastern Kentucky. Demonstrations of weaving, pottery making, grist milling, wood crafting, basket weaving, broom making, quilting, tatting and much more are offered, along with musical performances throughout the three-day event. The 2019 Home Craft Days celebration will be held October 18-20 on the campus of Mountain Empire Community College. The event kicks off with a free Friday night concert. Saturday and Sunday will feature performances every hour on our two stages- Legends and Legacy. Enjoy the food, fun, and friendship of Southwest Virginia and come home to the Home Craft Days festival.